This chic ceramic black and white vase is the hottest new trend! 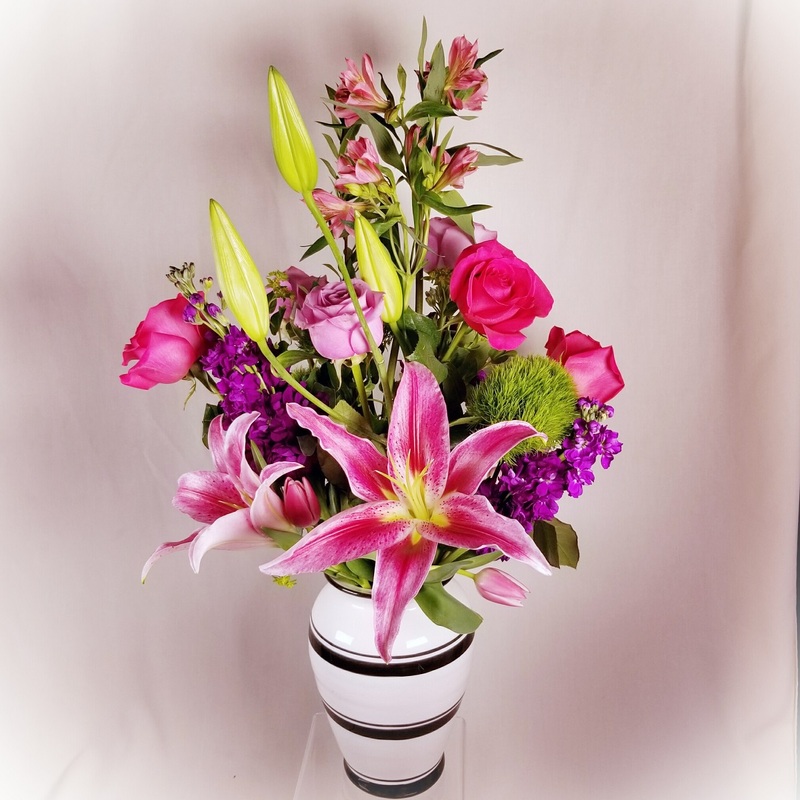 We've paired it with lilies, roses, tulips, &amp;amp;amp;amp;amp;amp;amp;amp;amp;amp;amp;amp;amp;amp;amp;amp; more in shades of pink, purple and green. Perfect for any occasion!